12 Permanent Labels per sheet for use in LASER and INKJET printers. Compatible with Avery® Label 5294. Designed to automatically feed through HP®, Canon®, Epson®, Xerox®, Apple®, and other printers. Note: Manual feed is recommended for HP Laser-Jet® and Apple LaserWriter® printers. 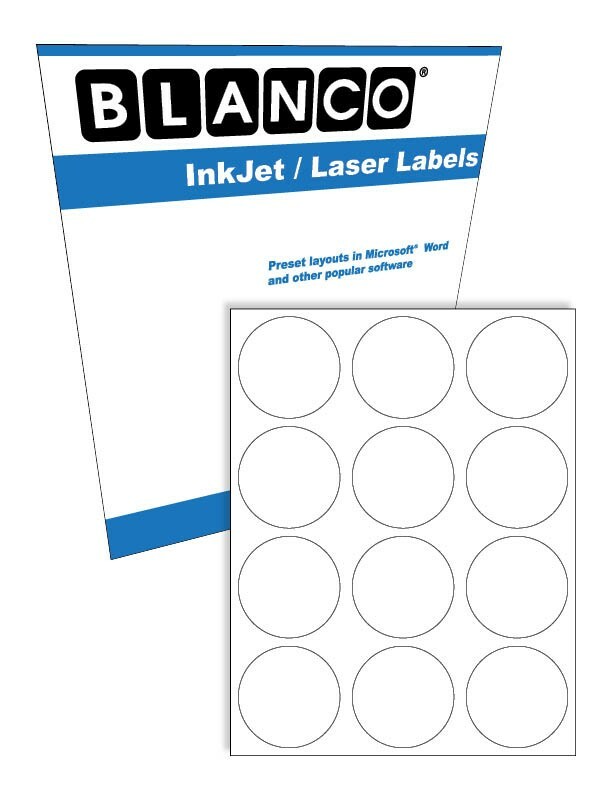 These circle sticker label sheets are approved for use in color laser printers.